Storage Organization Wall Hanging Only $4.66 + FREE Shipping! You are here: Home / Great Deals / Amazon Deals / Storage Organization Wall Hanging Only $4.66 + FREE Shipping! I have a HOT deal on a storage organizer for you! 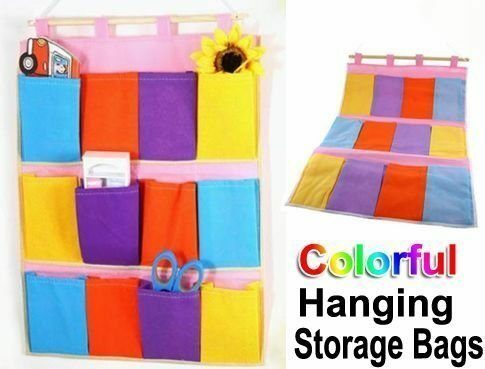 Get this awesome Storage Organization Wall Hanging for just $4.66 + FREE shipping! I need a few of these around our house to store all the little things. It would be great for craft items, too! There are 12 cabinets on this Compartment Pockets Hanging Bag for you to store your gadget in them. There is a wooden pole which very convenient to hang, and with a cord is the best choice for hanging in bathroom. Size: 39.5 x 54cm (L*H) approx.